Meet Masterpak at Project Lebanon 2008 (Stand G#2) from 3-7 June! Featured products include Masterpak's line of Construction Films. 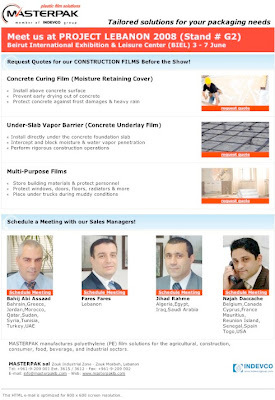 If interested, request a quotation in advance of the show for concrete curing film, under-slab vapor barrier, and multi-purpose construction films.